Brand Philosophy Of La gourmet is to provide the consumers we serve with the highest possible standard of Quality Living Lifestyle for Today and Tomorrow. – by providing VALUE and making available QUALITY products at AFFORDABLE prices. Why BUY La gourmet COOKWARE ? 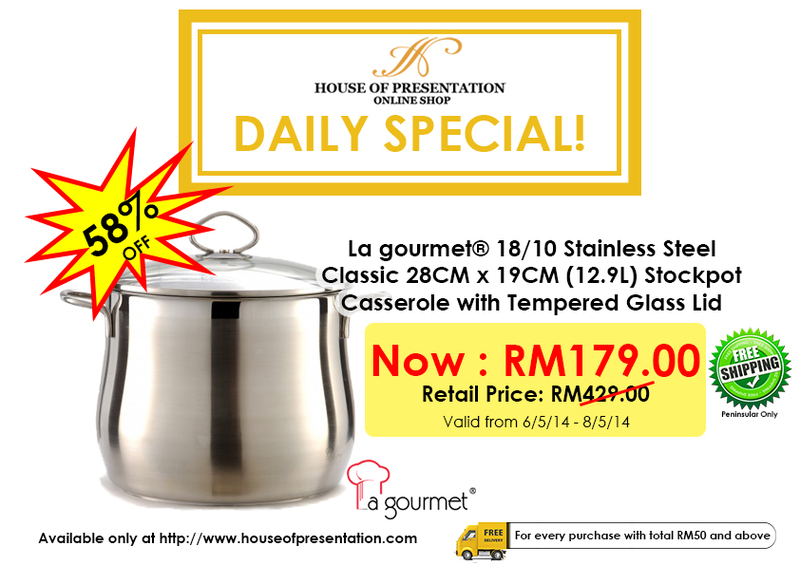 – 18/10 Stanless Steel is one of the most hygenic materials to cook on. Most surgical instruments are made of 18/10 stainless steel as it is NON – Reactive and NON – POROUS. It does not corrode when it comes into contact with acidic ingredients such as lemon juice, wine, vinegar nor does it give an off taste to foods. There is nothing more important then ensuring that the food prepared for our family is on a safe and healthy surface. 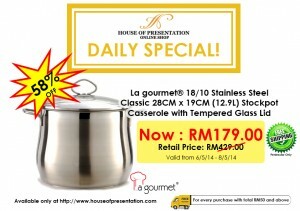 – La gourmet stainless steel is durable, resists scratching and denting and holds its shine even after years of using. 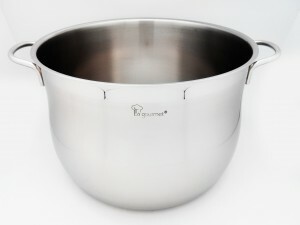 – Every La gourmet cookware comes with a 10 year warranty on the product. 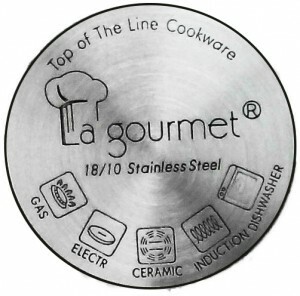 This is La gourmet’s assurance and commitment to our customers on the quality of our products. 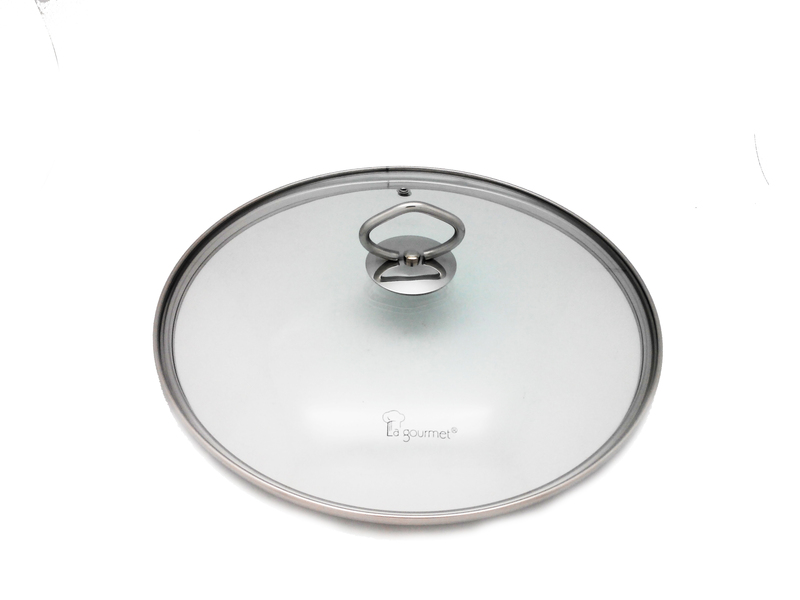 – Its excellent heat transmission properties guarantees optimal heat spread over the entire wok. 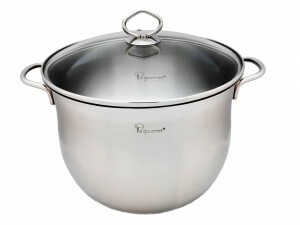 This saves energy and time as you can use lower heat and it cuts your cooking time. -Using lower heat helps to preserve the nutritional value of the foods and the natural sweetness without adding seasoning. – The glass lid allows you to see what are you cooking without having to open the covering. – The special multiply base provides good conduction and stick resistance i.e food does not stick onto the cookware easily. This makes cleaning and cooking much easier. – 0.8mm body with 3mm sandwich bottom. Belly shape body, cut edge, wire handles + knobs, glass lids. – 18/10 stainless steel from Germany. – Drip free pouring rim, 3-ply encapsulated bottom. – Thicker body, inner scratch resistant. – Excellent straining feature, easy pour after cook. – Save energy, less smoke while cooking. Keeps the vitamins of the food & your kitchen clean. 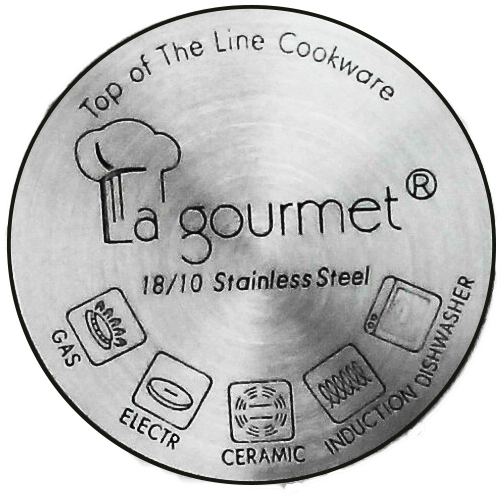 Click HERE to read La gourmet Trouble Shooting guide. This entry was posted in La gourmet, News Letter, Promotion by ramesh. Bookmark the permalink.